One of the biggest challenges hospital pharmacists face is ensuring that the time-consuming task of replenishing medication kits and trays is done accurately and efficiently. Many have heard of radio frequency identification (RFID) technology as a solution that can help eliminate human error while also saving time; However, the prospect of delving into a new technology might be daunting when dealing with an already packed schedule. The good news is that hospital pharmacy RFID automation is simple, powerful and a great solution for improving the management of medication kits and trays. Let’s take a look at how RFID-enabled kit and tray automation works. The Intelliguard® Kit and Tray Management System automates medication replenishment and inventory management using advanced RFID technology. When a kit or tray is returned to the pharmacy for refilling, it is placed in the Intelliguard® RFID Workstation where the system reads all product inventory and compares it against the precise PAR level and formulary specifics of that kit or tray. All inventory is counted simultaneously by the system, with no need for item-level scanning or manual counting. More than 150 medications can be scanned in a matter of seconds – including high-density trays, multi-layer tackle boxes and overlapping labels. Any missing, expired or soon-to-expire medications are identified, and a medication pick list is generated so replenishment can happen quickly and accurately. The Intelliguard® RFID System does not permit steps in the process to be missed or skipped. You always have the right drugs, in the right quantities—when and where you need them. Step 2: Missing, expired and soon-to-expire medications are highlighted on the screen. Replace as indicated on pick-list. Step 3: Press “scan” again. System confirms tray accuracy and prints Tray Detail Report, which is placed inside of the tray and includes: date/time the tray was restocked, who processed the tray, PAR quantities for each medication type and first medication to expire. Optional step for Technician – Pharmacy workflows: If pharmacy approval process has been configured, the pharmacist will simply scan the quarantined tray, confirm it is complete and error-free, and print the inventory detail report. That’s it! This process only takes a couple of minutes. Click here to view a brief demonstration of the Intelliguard® Kit and Tray Management System. When inventory intervention is needed, such as during a drug recall, or to track medication expirations, the pharmacy can quickly and easily view reports to identify specific medications and their locations throughout the facility. For a quick refresher on how items are encoded so they can be used throughout the Intelliguard®RFID Ecosystem, view our blog post: How Intelliguard RFID Encoding Works. Once your inventory is tagged and encoded, each vial’s unique identifier is placed into a relational database and utilized throughout the Intelliguard® system to enable effective, efficient and safe pharmaceutical inventory management processes. The Kit and Tray Management System is one solution in the Intelliguard® RFID Ecosystem. 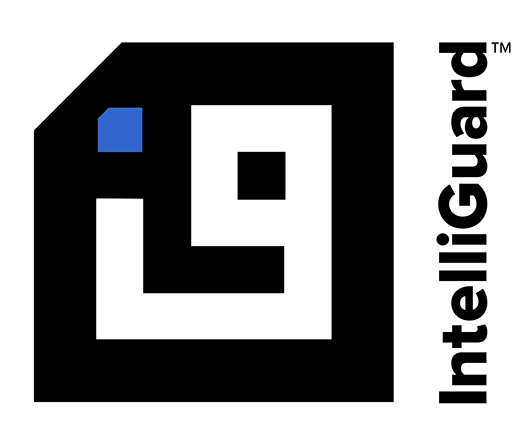 Learn more about Intelliguard® RFID Solutions on our website. Also, sign up for our blog to receive notifications of new posts, including how to increase efficiency, reduce costs and eliminate errors with innovative RFID technology.